Semilla currently holds the #5 ranking in our list of favorite Modern & Creative Restaurants in Paris. Semilla is a very useful restaurant: it’s open every day, and it’s large enough that you can usually book a table on the same day (walking in without a reservation is a riskier proposition). The menu is large enough to make most people happy, including vegetarians. The wine list, including a lengthy selection available by the glass, is well-priced and always full of wines I want to drink. The generous air-conditioning has saved more than one sweaty summer night. The staff, led by jovial owners Juan Sanchez and Drew Harré are kind and professional. However, to focus only on these practical matters is to ignore the delightful fact that food here is really, really good. One winter evening, I tasted four different dishes based on a biche (deer) brought in by hunters. 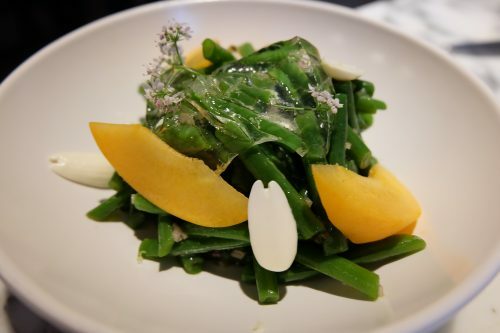 Last week during the heat wave I swooned for bright green beans with nectarines, and many other dishes tailored made for summer ingredients and sweltering temperatures. Rarely does a restaurant respond so well to both the season and the needs of their customers. For that reason, I find coming back year after year. We thought that restaurant would be great. So disappointed, food was presented nicely but was tasteless and undercooked. Staff were all over you and rushed you through the meal . Very defensive when we tried to discuss meal. Would never go again, hoping that we don’t get sick from the raw food. So many wonderful choices in Paris, not this place. Me and my partner just ate their last night. The ceviche is really fresh and so is the tomato salad. My fish dish was underseasoned and nothing to rave about. My partner’s pork dish was horrible, chewy,that i have to throw it up. Semilla is supposed to be my first “proper” french dinner but it was the worst 83 € me and my partner spent. It’s a sad french dinner and I would never recommend this place. We were intrigued by great reviews, and decided to test the waters here on a Tuesday. Totally terrific…the general ambiance felt remarkably like newer places in our home territory in SF, but with a very french accent! We loved the open room, open kitchen, general energy level, without being overwhelmed. We thought sequencing was weird. Started with butterfish in a creme, following by a cheese course, which we expected last. Our next two dishes came together, including a signature foie gras and an amazingly perfect pollack. 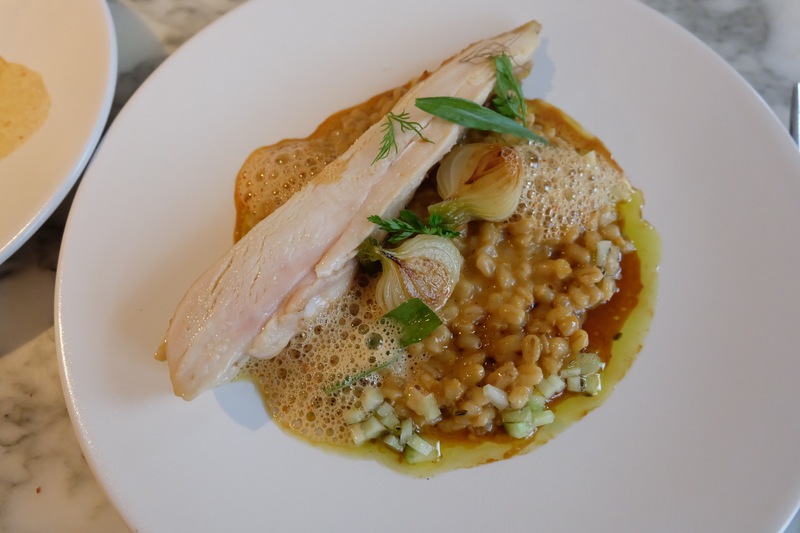 The pollack was complemented with rhubarb, which morphed to a citrus flavor against the fish. We finished with a mousse in a caramel sauce. Wow…all perfect! 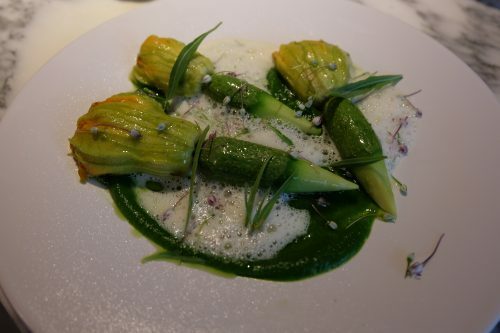 As this makes your list of top 50 restaurants in Paris under the heading “especially good at lunch” and “absolute favorite”, I took time to cross town and have lunch there today…..and I was disappointed to be unimpressed. It was solidly good, but by no means great, and at 24 euros for just the starter and main dish (with dessert another 10 euros extra), it is FAR from being good value when compared to other high quality modern French restos in Paris at lunch. I would only ever return if I were already in the neighborhood and out of other ideas. You have other places on your top 50 list (as well as a few that aren’t) whose food is much more impressive both taste wise and aesthetically…and they also offer starter, main course AND dessert or cheese for approximately 25 euros or less… with a much better and larger selection of wines by the glass. Also, because we liked Semilla so much. We will be back to try their other restaurants… Fish Boissonerie (across the street) and Cosi (take away sandwich concept next door). I’m sure it’ll be tasty! 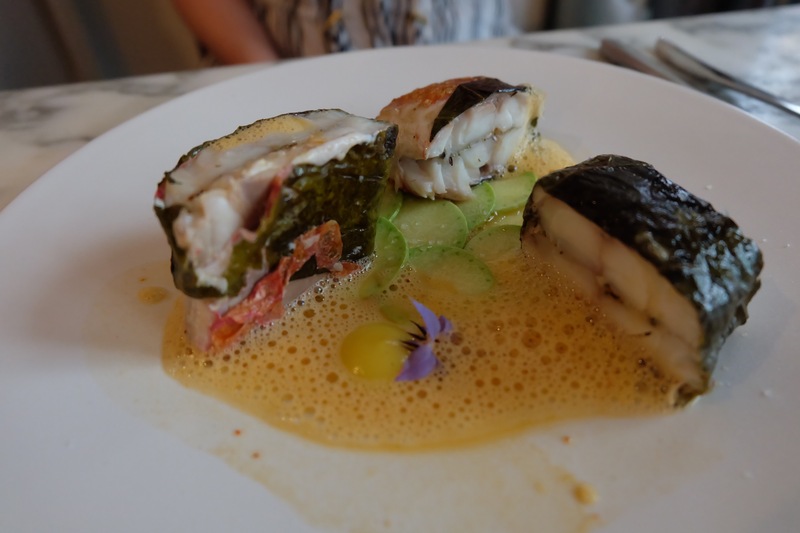 We are in Paris for 3 weeks and made a reservation at Semilla after dining at Fish. The first impression is that they DINA great job with the furnishings and the staff is friendly and helpful. The wine selection was fine and the first courses came out of the kitchen in a haphazard manner. We should have expected that it would then take about an hour and a half to get the mains. We all ordered the St. Pierre which was okay. The onions were supposed to be carmelized, but that didn’t happen. The waitress ever returned to the table to see how everything was. The owner was behind the bar dealing with the overflowing groups waiting to be seated. Our reservations were at 8 and we were told to be prompt. If only they would have been organized and professional about the dinner. It’s was the end of our first week and the only disappointing dinner so far. 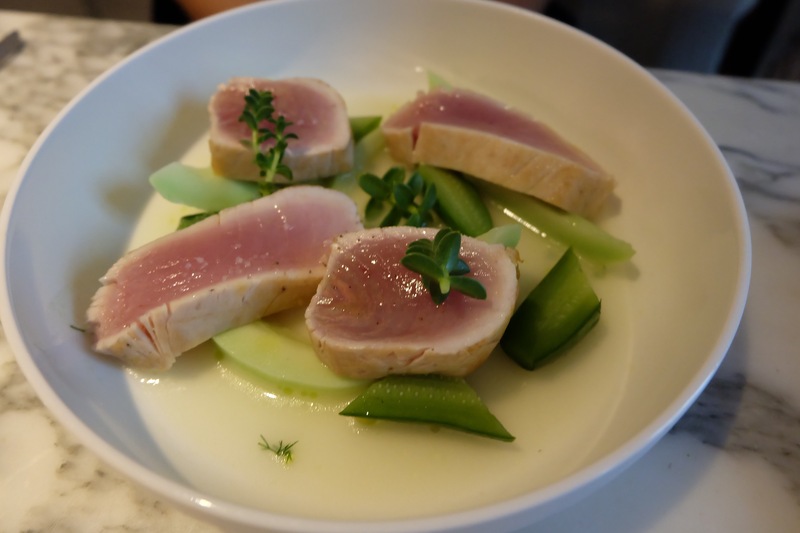 After dining at Verjus, Spring, La Regalade and L’Ami Jean we expected this meal would at least be consistent. We had an opportunity to speak to one of the owners Drew Harre. He told us parts of the menu changes daily, and the whole menu changes weekly. 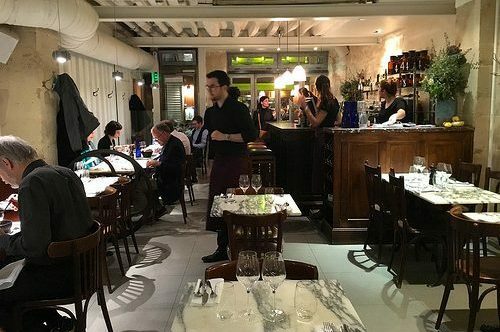 Admittedly, they’re still tweaking the menu and he considers the restaurant a “work in progress.” We had some friends that had gone the week prior and had the blanket de veau and said it was excellent. But unfortunately, they did not have it on the menu. In summary, It’s amazing that the restaurant has only been open for a month. They had some very strong dishes as well as some dishes that could use a little work. While it’s true they still have some tweaking, as Drew states, it’s a work in progress, I’m confident they’ll come up with a winning formula “à tout de suite”. I would definitely go back. Definitely a rising star!